E Virginia in front of Natural Food Store..
Are you ready for a new experience in the Tri-State Area? We have the answer! This is a great place to have fun with your friends, or meet new friends; relax or just let your hair down and be you; or simply discover your inner artist. Enjoy an adult beverage or two relax, and paint along with our artists to create your own work of art that you will take home at the end of the evening. Two hour classes are offered for $35 and three hour classes for $45. We also have kids classes at $ 25. Select Family Friendly and Seniors classes offered for $25. 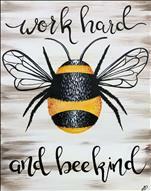 So check out our calendar for its wide selection of public classes. All our Classes are All Ages, we will card you very strictly to ensure that minors are not served alcohol, but all ages are welcome to all our public classes and private events. Do you have a Birthday, Anniversary, Team Building, Bachelorette or any occassion for celebrating with friends? We also have an event room where we can host a private party or event. 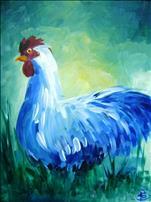 It has a capacity of 24 and offers you the ability to choose your own time, painting and also the artist. We also need min of 8 for a private party and it costs the same as our Public Classes. 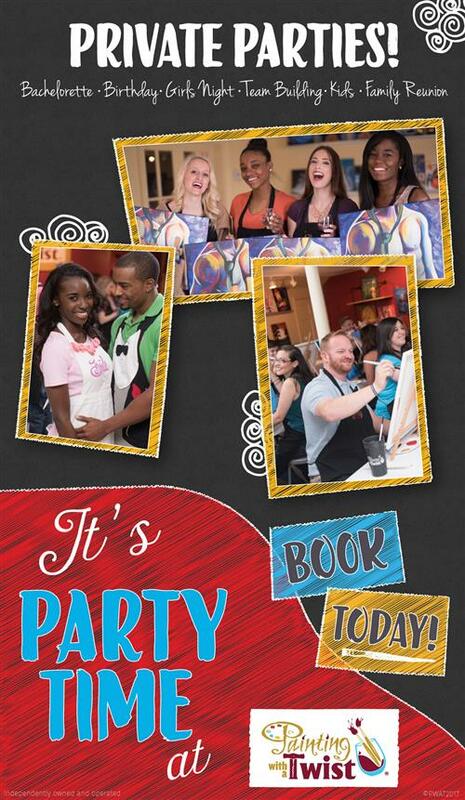 So the next time you have a party and need an excuse to host it, come to us! 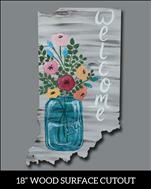 We are an independently owned and operated local business, so paint with us and help support Evansvile, IN! All our classes are All Ages. Everyone will be carded when ordering alcohol. Alcohol will only be served to 21 and Over individuals with an active License or State Issued I.D. Bringing in your own alcohol is prohibited due to local Ordinances. We recommend age 7 and older for Family Classes and Kids classes. For Kids Parties ages 6+. Diché the cliché this Valentine's Day. No one likes doing the same old thing every Valentine’s Day—it’s hard to keep the fire alive when the kindling is damp. 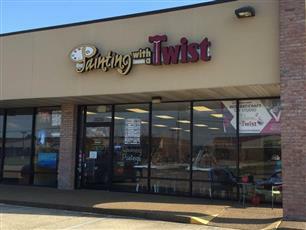 A painting date night at Painting with a Twist Evansville located on E Virginia Street between Sams Club and the Eastland Mall is an unforgettable Valentine’s date – it’s unique, creative, and romantic. Guess what, you do not even need to dress up or make up. In fact we ask for you to wear an older dress since you know Paint could get anywhere especially if your Date decides to paint you or the Town. You can even party in your PJ's. 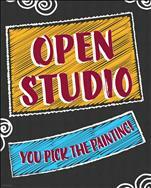 Our paint and sip studio is a fun, relaxed environment where you can be you. Don’t worry – you don’t need any art experience. 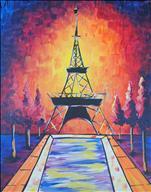 A professional artist walks you through the featured painting, while you enjoy drinks, music and quality time your date. 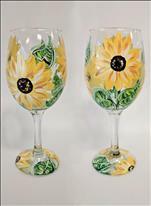 We have Wines, Beers, Mimosas, Champagne and Strawberry Margaritas to help you relax and have a great time. 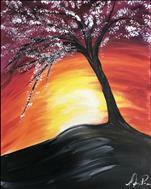 Whether it’s your first Valentine’s Day together or your 40th, a couple’s paint night is a departure from the ordinary. 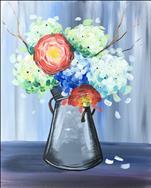 For an extra-special date night, reserve seats for one of our official date night paintings. At these events, the two of you paint separate canvases that create one image when placed together. It’s a sweet and personal memento from a perfect Valentine’s Day. Want to Party but do not have our min of 8 for a Private Event. 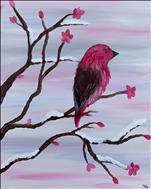 Well you can choose what you want to paint each Wednesday if you sign up 5 of your friends. So request a party on Wednesdays in Jan, Sign up 5 of your friends or pay a 5 seat deposit. You will then get to choose your art. We will then Publish the class and Open it up to all. So you get to still paint and party with your friends and make new ones.. See how many people like your choice and Paint a painting you and your friends want to choose. Want to try something creative in 2019? 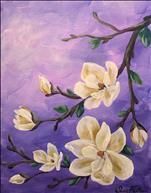 Challenge yourself to get outside your comfort zone, meet new people, and discover the joy and relaxation of painting! Sip your favorite alcoholic beverage to increase the relaxation and fun factor. Build confidence and commitment by inviting a friend to join you. 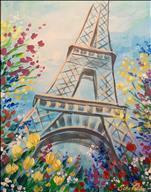 Browse our Calendar, reserve your favorite painting, and come ready to have fun!